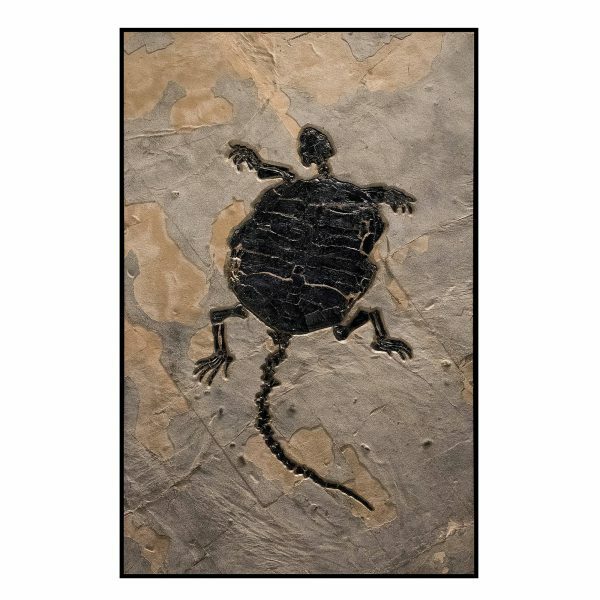 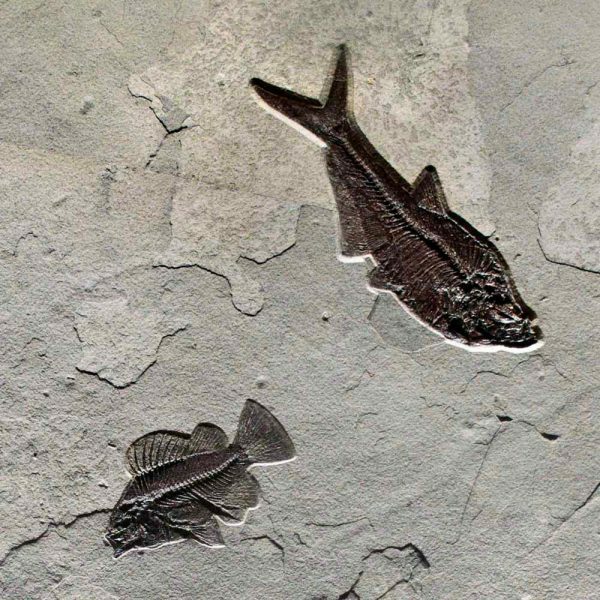 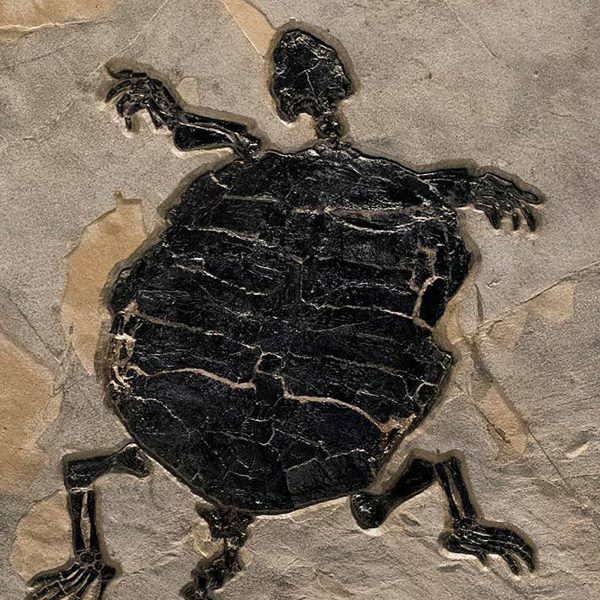 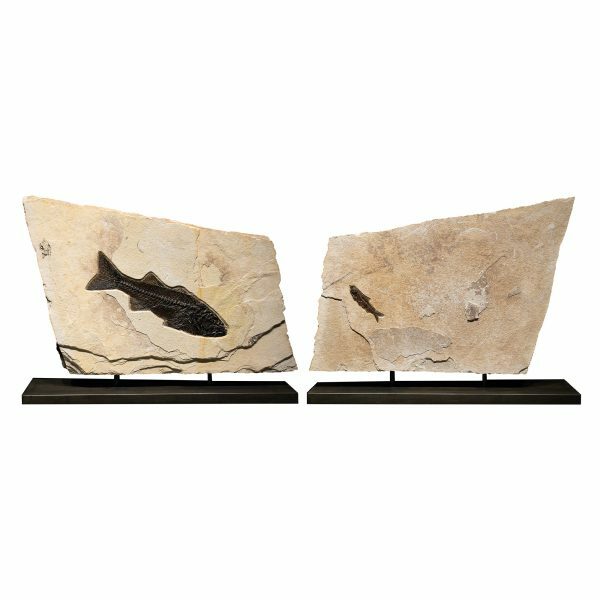 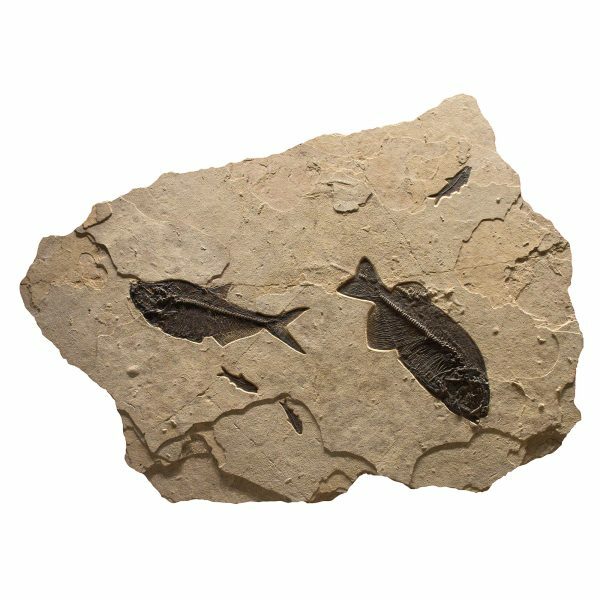 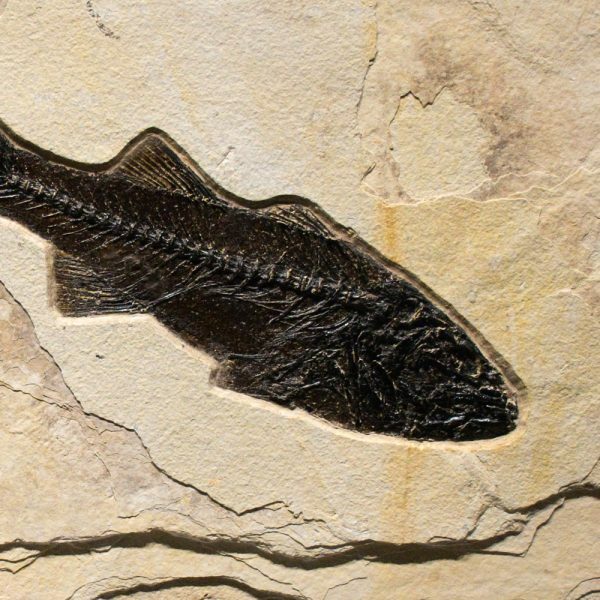 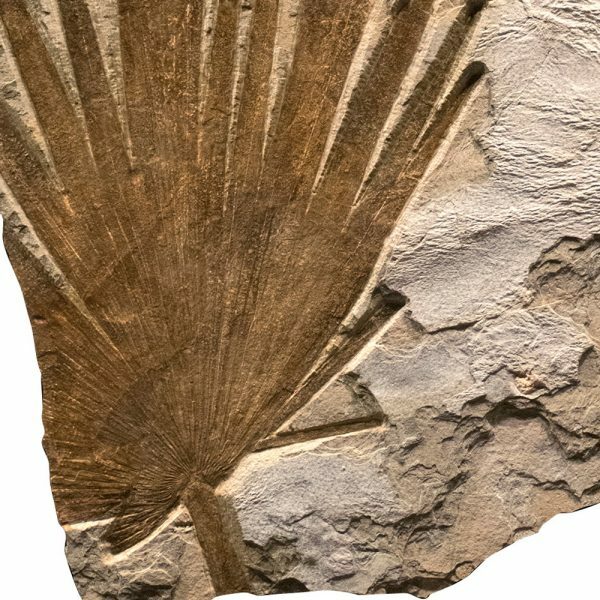 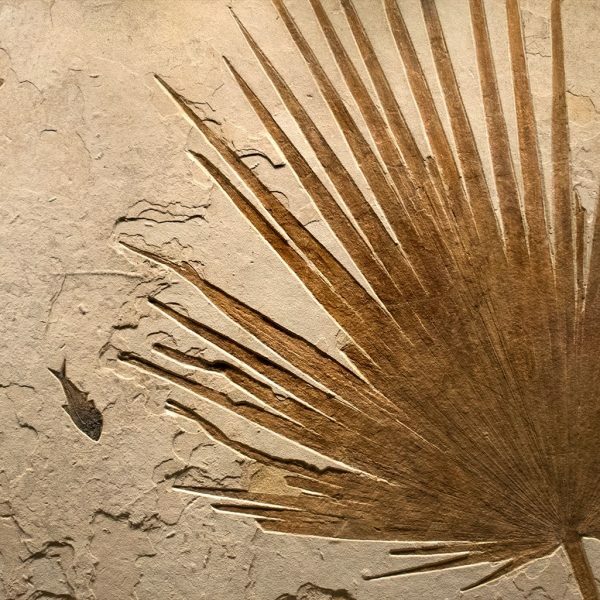 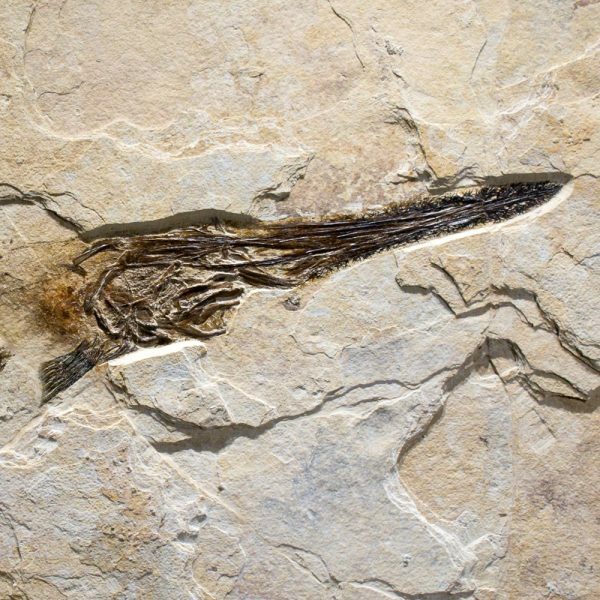 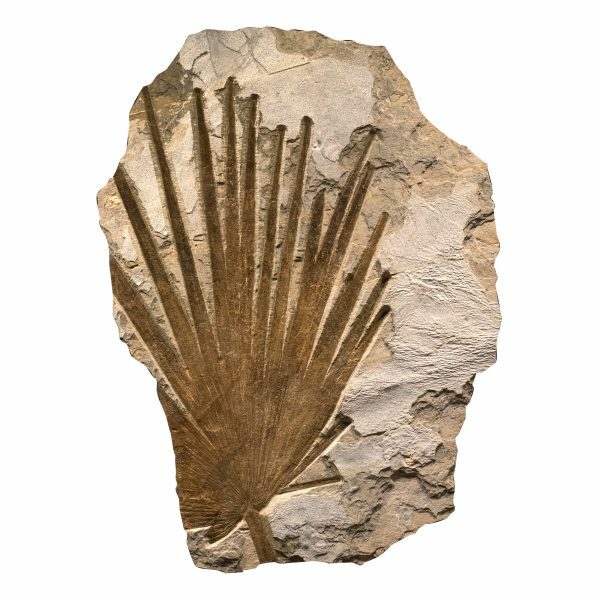 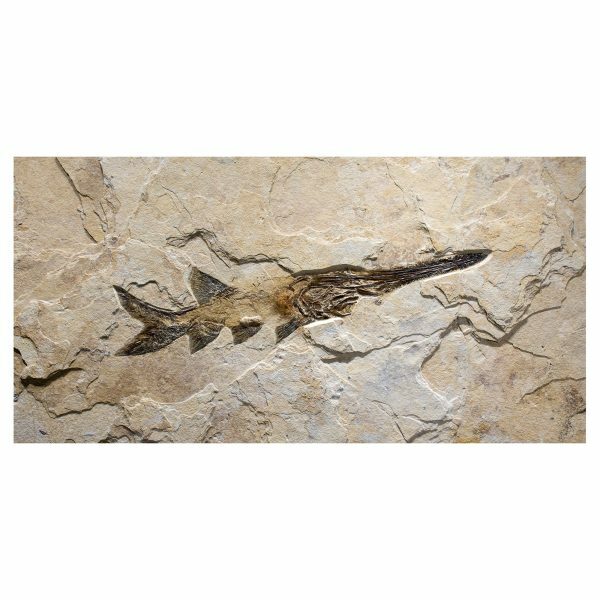 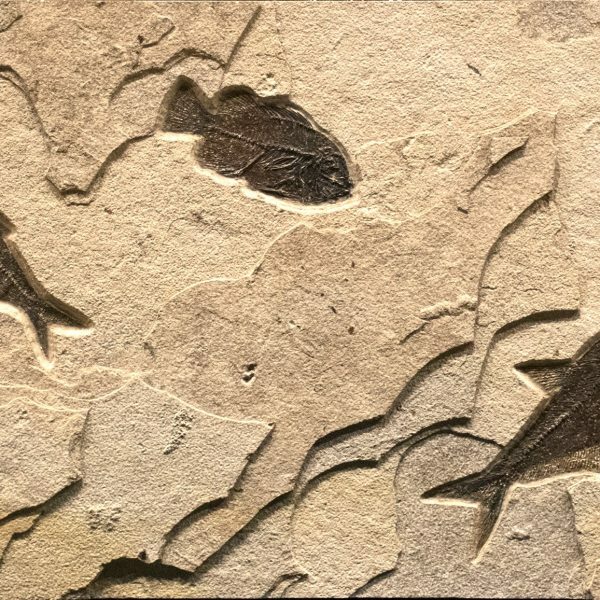 Fossil Mural #Q171004001ABC – Quarried from the Volcanic Ash stone layer, this triptych mural contains a 17.5″ Diplomystus, (8) Priscacara and (6) Knightia. 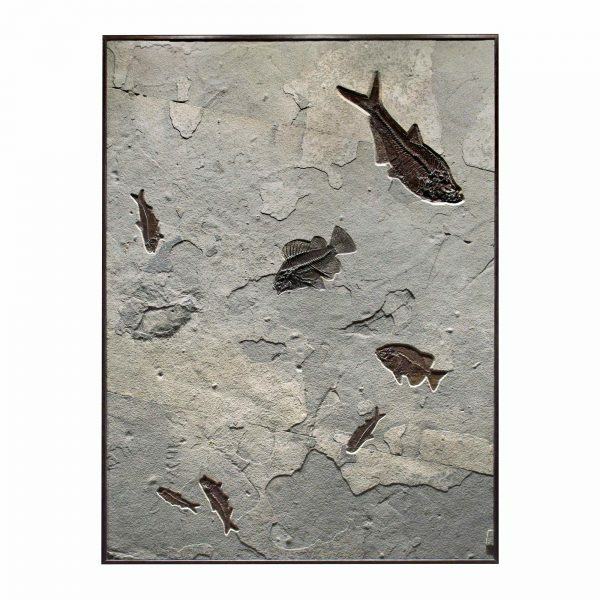 Size: Unframed 48″H x 24″W x 1.25″D (each panel). 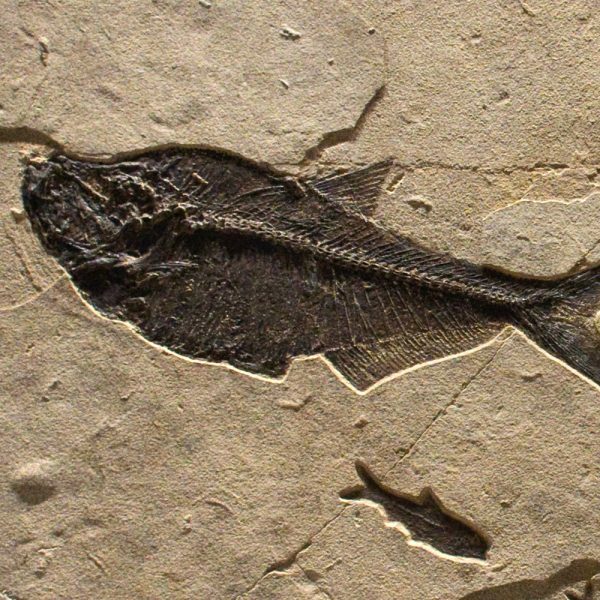 Weight: 75 lb. 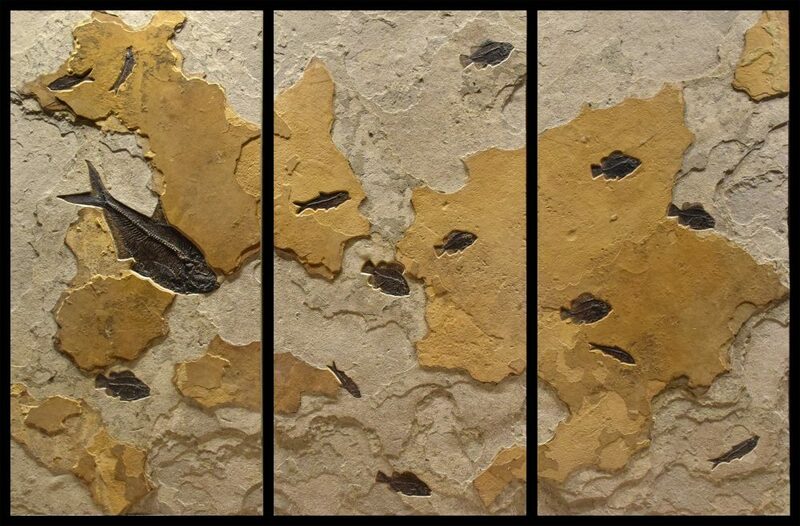 (each panel).